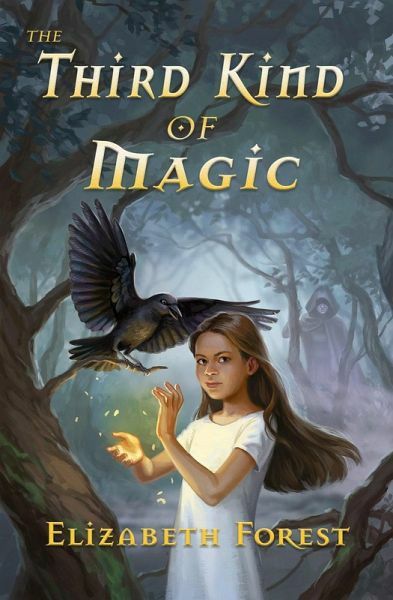 After accidentally using advanced magic, Suli must leave her village to become a wise woman or be shunned as a witch. Suli's magical education with the wise woman, Tala, is cut short when a witch kidnaps Tala to learn the secret of shape-shifting. Believing Suli will be easier prey, the witch tries to kidnap her too. But Suli has talents the witch doesn't suspect. She, too, has inherited the ability to change shape. With the help of a crow teacher, she learns to fly and to talk with animals. Then the witch asks Suli to make a terrible choice: either live with the witch as her apprentice, or Tala will never be seen again. If Suli agrees, she'll be shunned as a witch for the rest of her life. The Third Kind of Magic is a delightful 236 page middle-grade novel for fans of strong girl heroines. Elizabeth Forest writes historical and speculative fiction for readers of all ages. She's drawn to other cultures, alternate worlds, and the lives of those outside the mainstream. Join her VIP Readers' group at: https://www.elizabethsforest.com/newsletter to hear about new books and special bonus features for members. She can also be found on twitter @elizasforest.